HD Video Comparison of Gran Turismo 5 vs Forza Motorsport 3. Here’s a really intresting Comparison Video of Grand Turismo 5 and Forza Motorsports 3 which were uploaded by a fan of both the Racing Simulator’s. 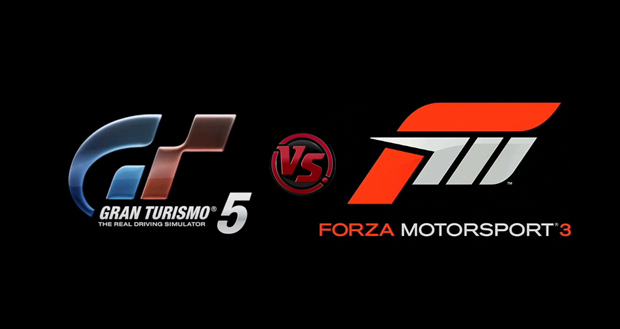 The version of GT5 being tested in the comparison is taken from the demo build present at GamesCom 2010 while the Forza Motorsports 3 version is the Retail version with all the updates applied. Both the games were tested on the famous circuit of La Sarthe. The difference between both the racing games aint that much, But the Road detail of GT5 looks quite nice as compared to Forza Motorsports 3 and also the Cockpit view of GT5 wins against the Cockpit view of Forza. Other than those the World Effects and Detailing look quite similar of both the games. So we can say that Forza is doing a good job keeping up with GT5 although it was released much earlier than GT5. Let’s hope the final build of Grand Turismo 5 has more to feature than the demo.